In 1985-86, Bob Emerson, Department Head of Industrial Engineering recognized the benefits an Academy would bring to the department. He planted the seed and began to seek support. Larry Stephens, President of Mid South Engineering, became interested and was the driving force that organized the Academy. Larry was the first president. To recognize graduates of the Department for sustained and outstanding contribution to the Industrial Engineering profession. To display the credentials of the Academy in such a manner as to stimulate and motivate the student body. To provide advisory guidance and counsel at the call of the Department chairman. To encourage the giving of personal, corporate, foundation, and government gifts and grants for the benefit of the Industrial Engineering Department of the University of Arkansas. Although Department Head Bob Emerson was instrumental in the beginning, it was Dr. Rick Malstrom, succeeding Bob in 1987, who provided the professional leadership that solidified the Academy. 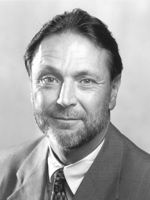 Through Rick’s insight in so many areas and with the consultation from Dr. John Imhoff, our mentor, the I.E. Department became the most productive and proficient in the College of Engineering. 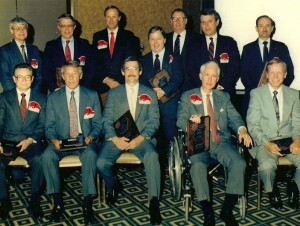 During this time Rick provided the forum that successfully bonded the Academy and the I.E. department. During the first years the Academy continued the systematic addition of inductees and struggled with small contributions of $500 to $5,000 to assist the Department with scholarships and other endeavors. 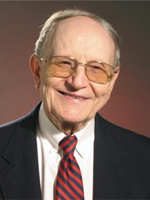 In 1992 AAIE Member David Foust successfully persuaded Bekaert Corporation to contribute $50,000, which became the seed money for the establishment of the AAIE Endowed Scholarship Fund. Through the continued efforts of scholarship chairman Palmer Terrell and later Dewey Freeman, pledges continued to increase toward the goal of $500,000. Presently, Bob Etien serves as AAIE Scholarship Chair and the AAIE Scholarship endowment has achieved a balance exceeding $2.5 million, including the Imhoff Global Studies Fund! With this scholarship fund and additional endowed accounts provided by committed AAIE members, we are able to provide numerous scholarships for undergraduate and graduate students in the department of industrial engineering. The academy also has provided assistance in areas of equipment acquisition, faculty recruiting, student placement, and curriculum review. A liaison committee meets yearly with the faculty and students interchanging ideas. 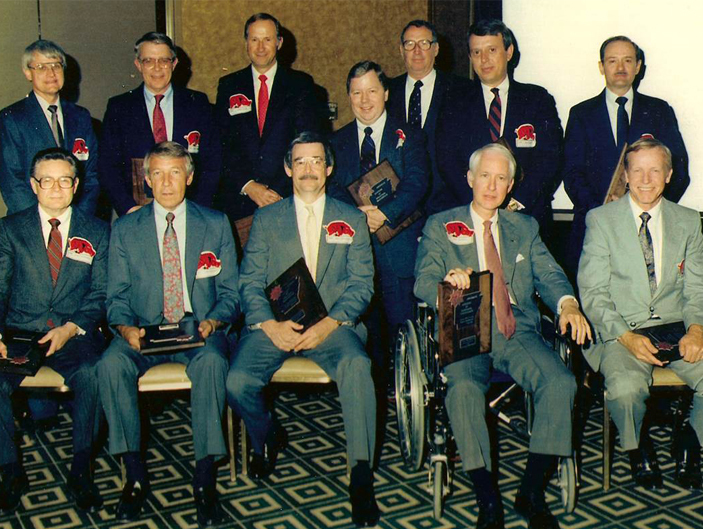 Since 1986, the Arkansas Academy of Industrial Engineering (AAIE) has been recognizing the achievements of University of Arkansas Industrial Engineering graduates and to provide continuing guidance and support to the Department of Industrial Engineering.